Gas Sensors - EPNER TECHNOLOGY INC. Numerous gas sensing systems using Infrared Light rely on Epner’s Laser Gold to achieve the ultimate in sensitivity and long life. 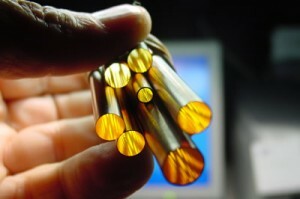 Epner presently supplies this service to manufactures of gas sensors and analyzers in seven countries worldwide, and many of the manufactures of these products combine Epner’s electroforming capability with this unique gold coating. See Laser Focus World article.